SHUTTLE will automate a significant part of forensic microtrace evidence examinations. The SHUTTLE toolkit will mainly consist of an automated microscope that will acquire high quality images of recovered microtraces. 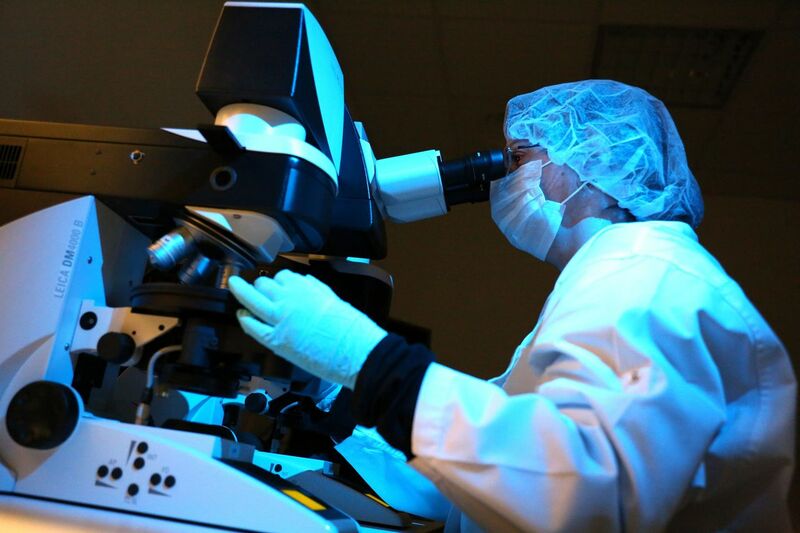 Images will be processed automatically and an overview of available microtraces will be reported. In first instance, we will focus on blood, skin cells, gunshot residues (especially NC), hairs, fibres and saliva. Algorithms to classify additional microtraces, or to classify microtraces more accurately can be developed by users and added as plug-ins to extend the range of microtraces that can be classified. The data will be stored in a computer database, thereby facilitating future data analysis, such as provenance of microtraces and forensic comparisons. 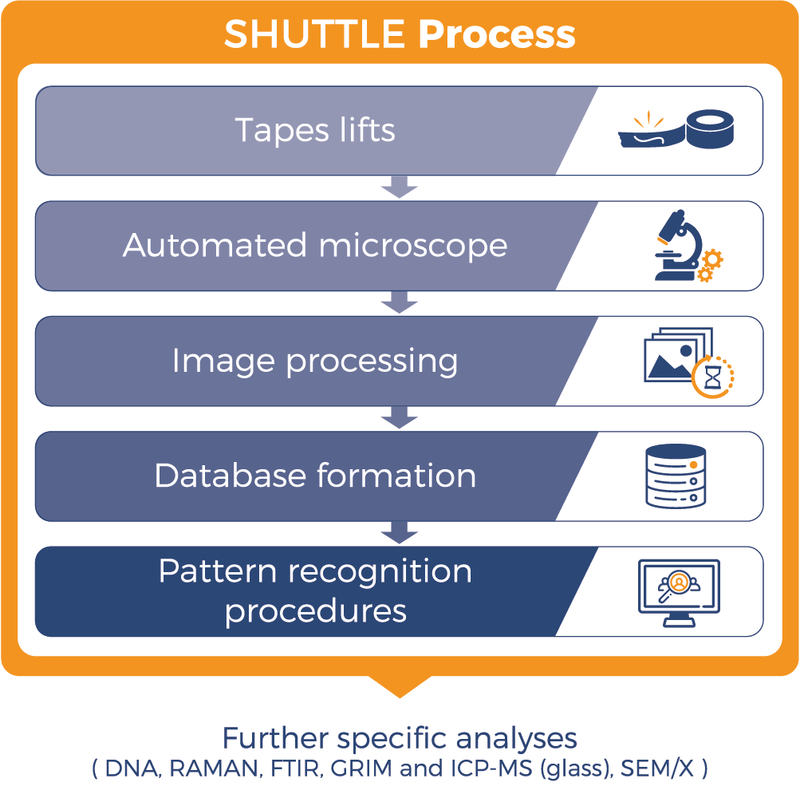 SHUTTLE aims to solve two major issues in forensic microtrace evidence investigation. First, current analyses are subjective and require a high level of expertise and training of examiners. SHUTTLE will render analyses more objective and scientific. Second, microtrace evidence analyses are time consuming and hence expensive. This limits the number of cases in which analyses can be carried out. Introduction of the SHUTTLE toolkit will have several advantages for forensic laboratories and their customers. The automation will allow a more efficient work flow, while the obtained results are more objective. The objective nature of the analyses and the available database will enable national or even international exchange of data. SWide implementation of the SHUTTLE toolkit will homogenise the procedures for microtrace evidence examination in laboratories throughout Europe and hence facilitate better international collaboration and exchange of data. Laboratories may use data in a shared database for their database searches. In a similar way, data acquired by several laboratories can be used to calculate background populations and the calculation of the evidential value of the results. They may ask for help from international colleagues by just indicating a reference to the key under which data is stored in the joint database. The standardisation of working procedures will form an excellent educational tool, as police officers and forensic can improve their knowledge by studying samples in the database. The SHUTTLE toolkit will also form a major incentive for Research and Development studies, e.g by enabling discrimination and background studies. So far, all the trace analysis lean on the “Microscopist eyes”. It’s time-consuming, selective and hardly objective due to the complexity of the process. The SHUTTLE toolkit will contain 4 tools which will help to solve the current difficulties. Each of them, as well as their fluent interaction, is required for optimal operation. The aim is to make a powerful and versatile toolkit to solve the major issues in forensic microtrace evidence investigation. Additional specifications will be set on privacy issues, training, user-friendliness, long-term sustainability and integration with other techniques.